Starting just outside of Collinsvale, the Collins Cap trail is a great 3 1/2 hour, 5km return walk suitable for families and walkers of all ages. Although steep throughout, including a climb of just over 500m, the trail is well constructed and easily followed. From the summit of Collins Cap (1098m) excellent views of the Derwent Valley are presented as well as unique views of the Mt Wellington Plateau. View Google Map Directions From Hobart, head north on the Brooker Highway and exit at Berriedale. Follow Berriedale Road for 8km towards Collinsvale (Berriedale Road will turn into Collinsvale Road). Once in Collinsvale continue past the general store and take a sharp left onto Springdale Road. Continue for 1.8km before turning left onto Myrtle Forest Road.The Collins Cap trail begins here. Parking is available adjacent to the boom gate. Picnic and toilet facilities are available 500m further up. The trail commences at the Myrtle Forest picnic ground after a brief stroll from the parking area. From the picnic area the trail crosses a bridge and follows Myrtle Forest Creek. 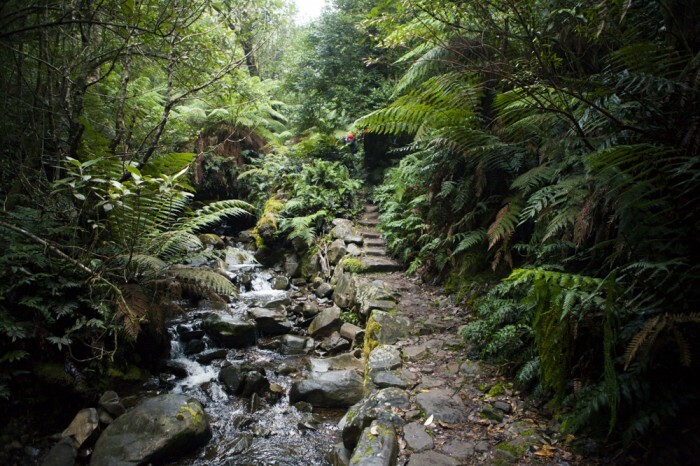 With an abundance of rainforest species around you, walking along this initial section is breathtaking. 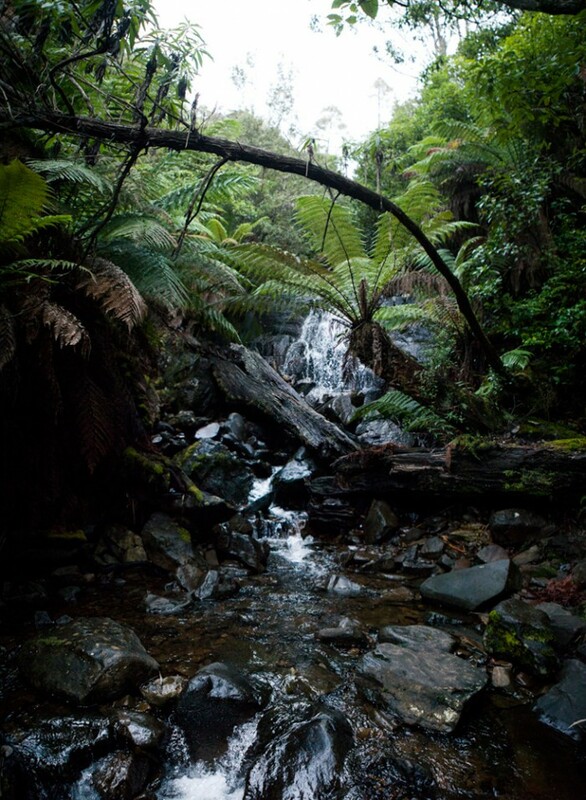 After a 15 minute climb uphill the lovely Myrtle Forest Falls are reached. 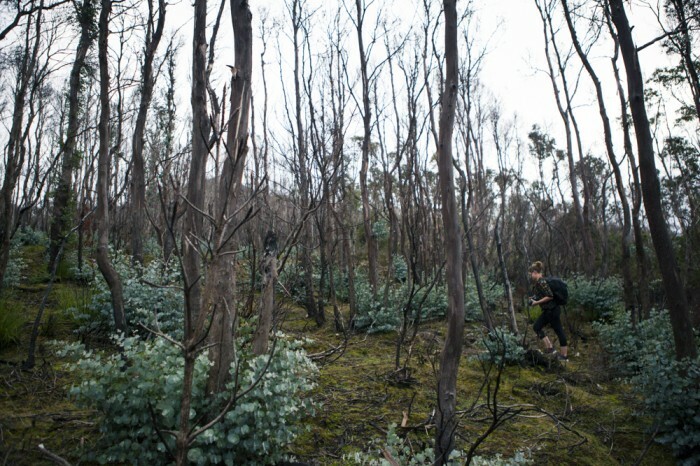 For the next hour the trail continues to steady climb, changing from rainforest into contrasting sub-alpine environment. After 40 minutes of hiking a marked junction is reached. 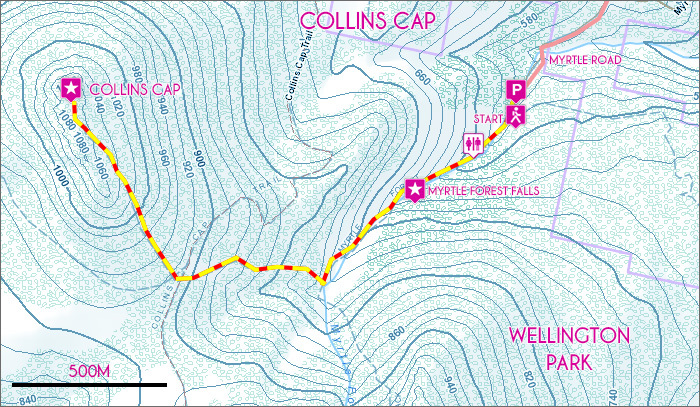 Take the steeper right hand fork to continue on the towards Collins Cap. As you climb the trail enters an exposed section of forest recovering from the 2013 bushfires before crossing two 4WD firetrail roads. After crossing the 4WD access roads the trail climbs the final flanks of Collins Cap. This higher section of the trail is somewhat overgrown and is slightly more difficult to traverse. Once at the top, clear views north across the Derwent Valley are offered as well as unique views of the Mount Wellington Plateau just to your south. Return to Myrtle Forest picnic ground via the same track. Once at the top the walk enters a sub-alpine area, be sure to take appropriate clothing. Careful footing is needed near the waterfall.